In the midst of all the excitement that a new year brings: resolutions, organization goals, new birthdays to celebrate it is so hard to get caught up in all the big things that we need to stop and enjoy life’s little things. For me, it’s coffee. My day doesn’t seem as bright when I don’t have a cup of coffee to help me begin the day. I really enjoy Dunkin’ Donuts coffee and let’s be honest their bakery treats too to start my day off on the right foot. 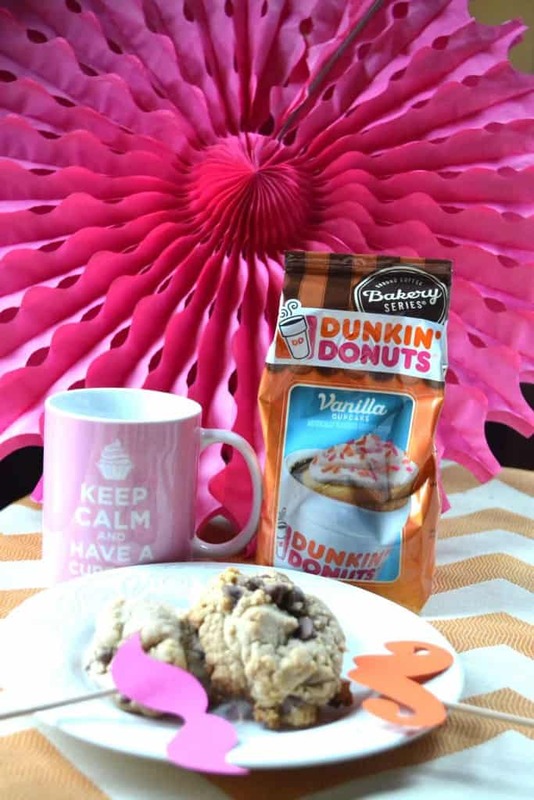 Now Dunkin’ Donuts has a new Bakery Series Vanilla Cupcake Flavored Coffee that is now available in supermarkets nationwide. This is to fabulous of announcement to keep to myself so I wanted to share it with my friends and family! So many of us are starting the new year trying to burn off some of the extra guilty pleasures that we indulged in over the holidays. 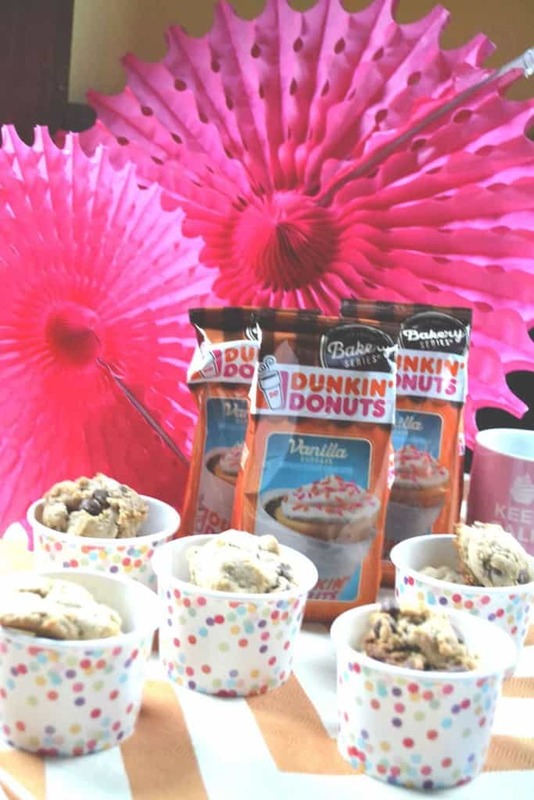 The new Dunkin’ Donuts Bakery Series line is the perfect treat for guilt-free enjoyment. I invited some friends over to taste the new coffee as well as some lightened up treats. 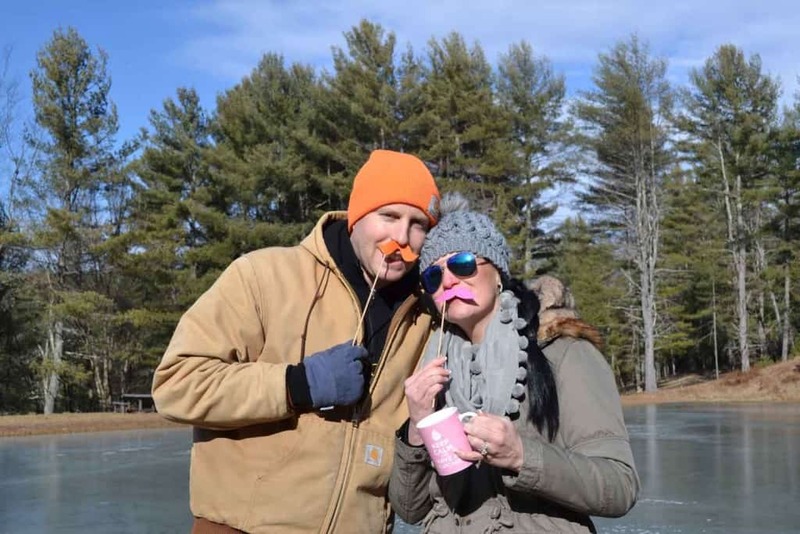 We decided to go out on the frozen pond afterwards to enjoy the great weather we were having. 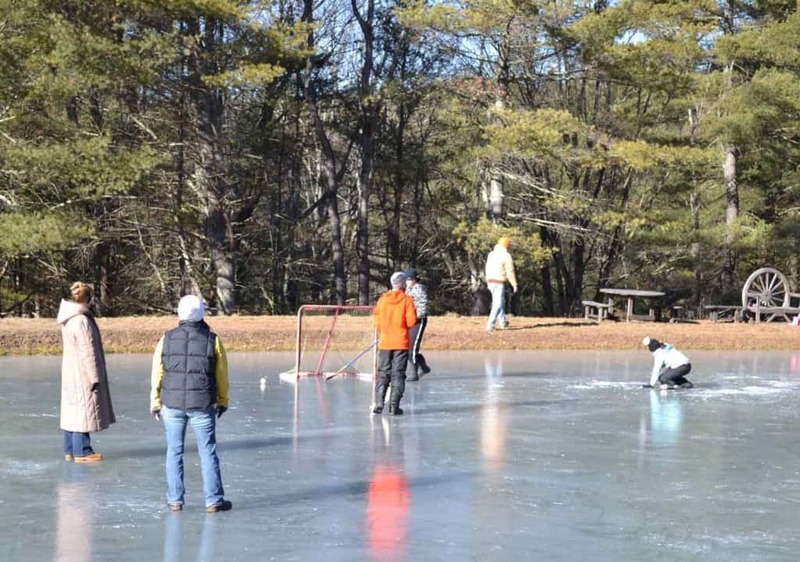 We were ice skating and playing hockey – what a great day! While planning my Dunkin’ Donuts party, I went to the Hungry Girl website and found a recipe for Mini Snickers Pies. This recipe is so easy to make and two of these minis pies are only 75 calories and only two ingredients. 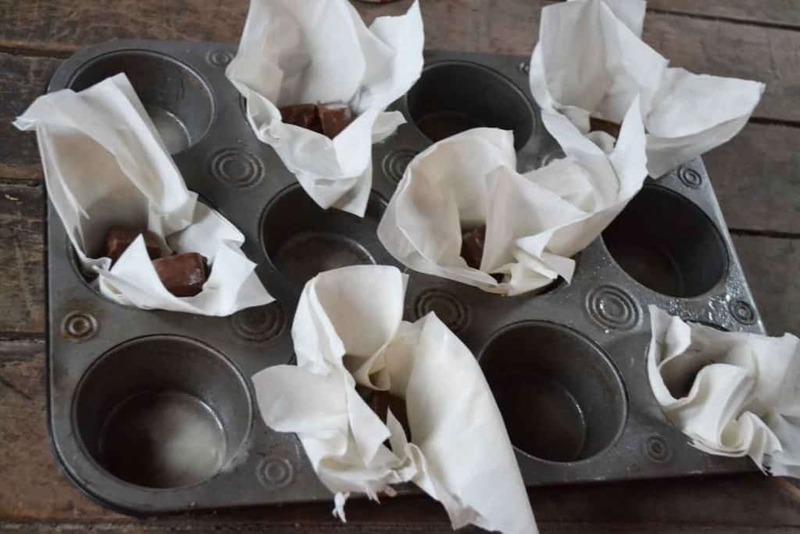 I created my version with fillo sheets instead of the cups and they turned out just as yummy! I also made an oatmeal chocolate chip cookie. 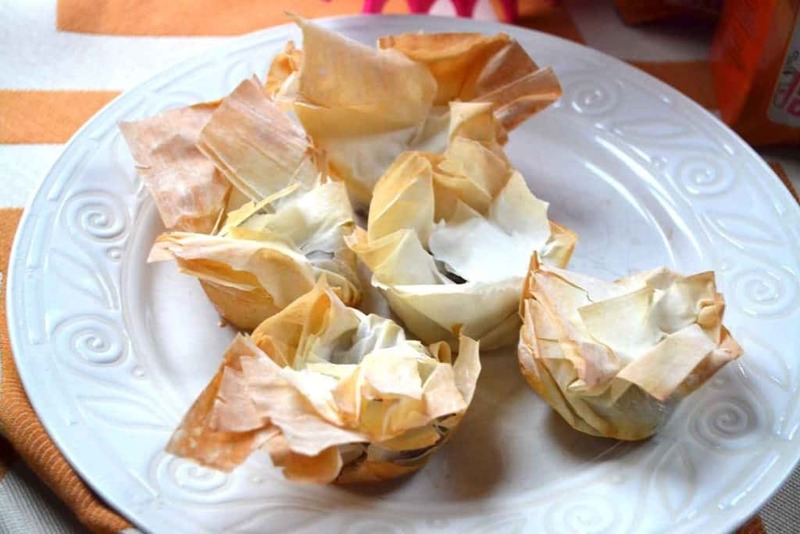 Place shells on a baking sheet, and place a Snickers nugget in each shell or use 3 sheets of Phyllo in a cupcake tine and follow the same instructions. Oh boy were these mini pies a hit! They were so creamy and delicious and the perfect accompaniment to our Dunkin’ Donuts Vanilla Cupcake Flavored Coffee. I love that this coffee has the bakery flavor right in the coffee itself. It is almost like eating a cupcake! The vanilla notes are refreshing and my guest loved drinking it! Each of my party guests also went home with a bag of Dunkin’ Donuts coffee as well… not a bad start to the weekend. 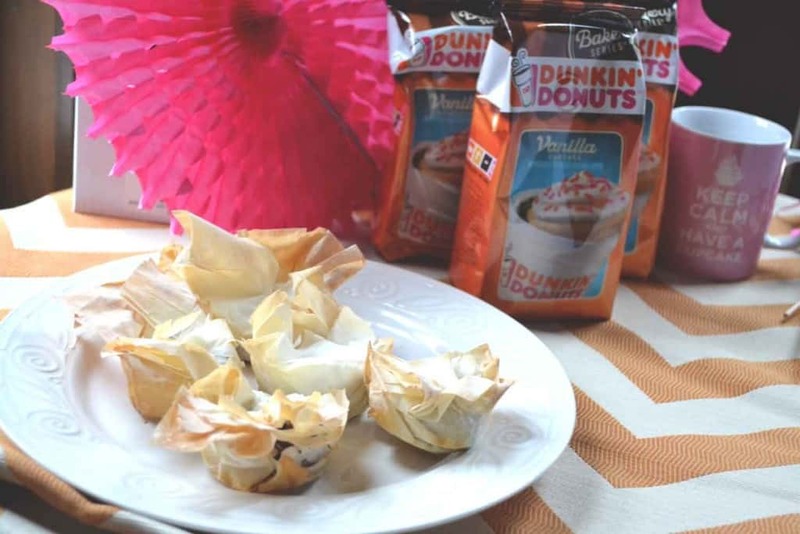 During your next grocery trip, be sure to look for the Dunkin’ Donuts’ Bakery Inspired Coffee series. Let me know how you like it!